John Will is a listener favorite, and we are thrilled to have him back on the show. John is one of the famous “Dirty Dozen” meaning that he is one of the first 12 non-Brazilians to reach the rank of black belt in BJJ. John was at the an early adopter to BJJ and he brought it home to Australia. 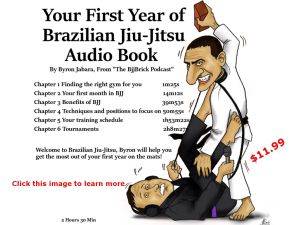 This entry was posted in BjjBrick Podcast, Interview and tagged bjj australia, black belt john will, John Will bjj, John Will interview, John Will jiu-jitsu, John Will martial Arts by byronjabara. Bookmark the permalink.